Image Size: 40 X 23 in. 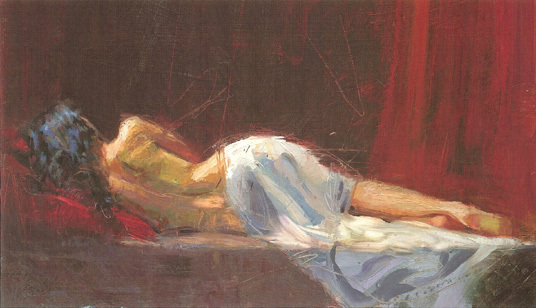 Henry Asencio captures the calm of a woman at rest in this brilliant new work. Dramatic color and exquisite composition are the hallmarks of this hot young artist. Share the smouldering passion of Asencio with "Quiescence".